Violence at rallies has prompted a counter-demonstration by groups calling themselves the “red scarves” and “blue vests”. 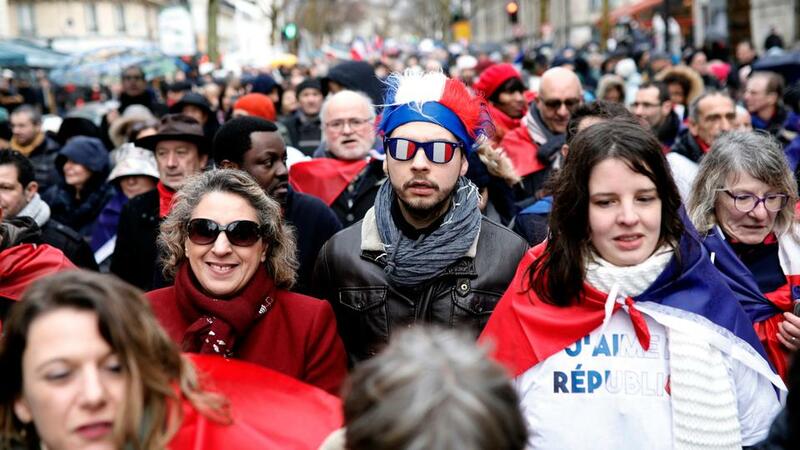 A counter-demonstration is planned on Sunday in Paris by groups calling themselves the “red scarves” and “blue vests” to protest the violence. Elena Casas has more from Paris. Paris police said on Sunday they are investigating the eye injury of protester Jerome Rodrigues, among other protest injuries. Video images show Rodrigues collapsed on the ground Saturday near the Bastille monument in Paris, where protesters throwing projectiles clashed with police seeking to disperse them.